Hands up who used to circle things in the Argos catalogue or cut things out and stick them on paper in the run up to Christmas? It's something I remember doing as a child - it was one of those exciting pre Christmas things - picking out what you wanted! The Argos catalogue was always the one that had everything in it when I was little - I remember spending what felt like hours carefully browsing and circling or cutting out the things I wanted to ask Father Christmas for - as a child it felt like hours but now I'm a parent I realise that it was probably only a few minutes ha ha - probably that moment to short for my mum to have a full hot cuppa! I kept meaning to pick up a copy of the Argos catalogue for my children to enjoy the fun of picking out things - but I have to say I either forgot to collect one or I simply didn't have enough hands to carry one - they're pretty packed now! So when I was asked to review the new Argos Wishlist App, I was intrigued to say the least! This is so much fun, I don't know who the brains are behind it but it's exactly a digital modern paperless version of the old cutting and sticking. - if I were to guess, I'd say a parent (and 80's child) has had input into this app! 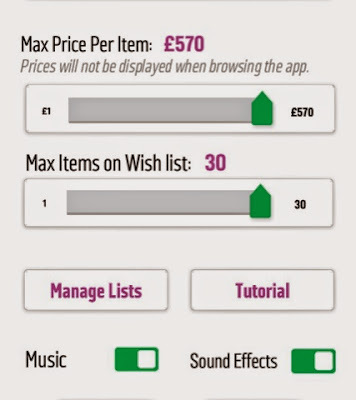 A parent sets up the App first -(you need answer a very simple maths sum to enter the parent area, mine was 5-2) you can select a spend limit so you can set how much each item can cost - it's a slider you can adjust - for example set so it only shows items up to £100 - it'll go all the from £1 to £570 per item. You can add more than one child too so everyone can have a go - i'm not sure if there's a limit but we added 6 lists without any problems. 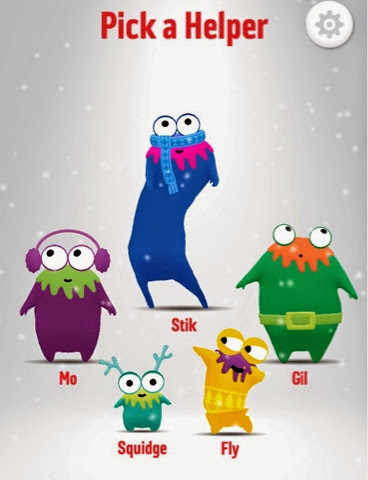 Your little one selects one of the cute little Argos monster helpers to guide them through the list. 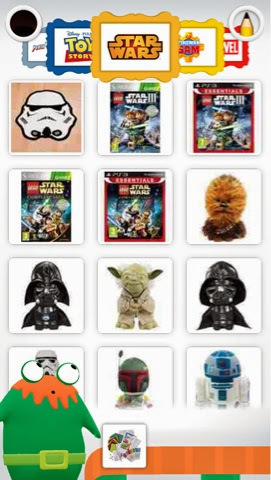 At the top of the app is a scrolling carousel for your child to select the category - my children had no problems at all recognising the branding logos - all are categorised and there's loads - Lego, marvel, spiderman, baby annabel, spiderman, nerf, my little pony, star wars, frozen, duplo, crafts, board games etc there's a lot! 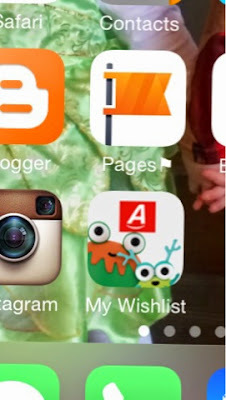 I didn't even need to show my children how to use this, they both instinctively new to scroll with their finger. 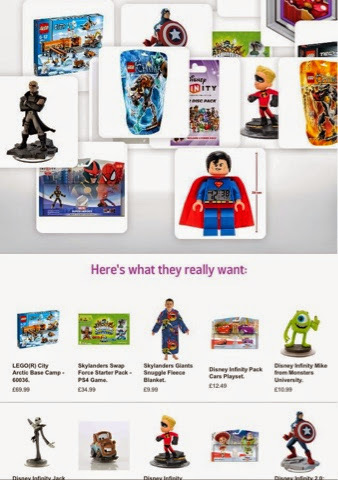 Your child simply clicks on the photo of a toy they like which enlarges it and some toys have a few images, if it's the one they want, click the green add button to include it in the gift list. 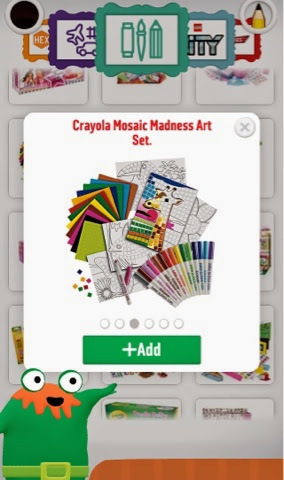 It's a great app for the kids to play with and give you hints and ideas - the version you recieve via email is exactly as your little person created it - when I first opened the Wishlist email on my iphone and clicked on an item it just took me to the Argos mobile home page and not the actual product - but then I noticed if I scrolled down just a little bit - the emailed copy actually very cleverly shows you all the items on the list with a link directly to the product, it's name and the price! You can forward the email on to other family members too. 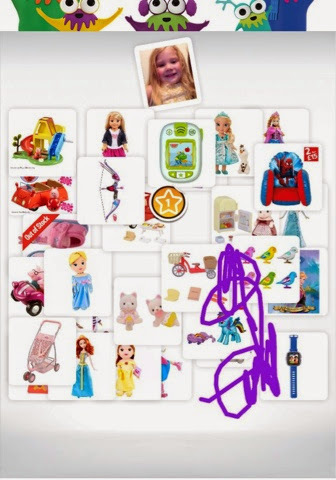 A little while after playing with the app, both my children found ways of making up their own games based on what they had seen - my little girl kept pretending to be one of the monster helpers and my little boy kept doodling wishlists on his magnetic drawing pad! We tried it on both my iPad mini and iphone and it was a hit for us - much more than I expected if I'm honest! disclaimer - I was invited by Argos to review the new app and as a thank you gift, I received a reusable shopping bag with a small toy and a pair of ear phones. I used to make my advent calender with the argos catalogue, filing up each day with items I wanted. Not sure it could be done with the app lol.